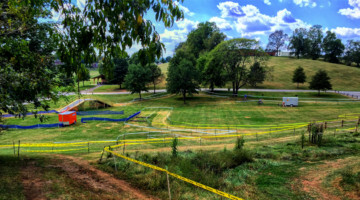 Green Acres CX is celebrating its 10th year of racing this Saturday and Sunday, October 14th and 15th. 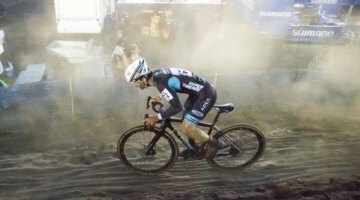 Improving on a formula that has driven the race towards the top of the Midwest cyclocross scene, organizers are looking to provide another full weekend of cyclocross fun. 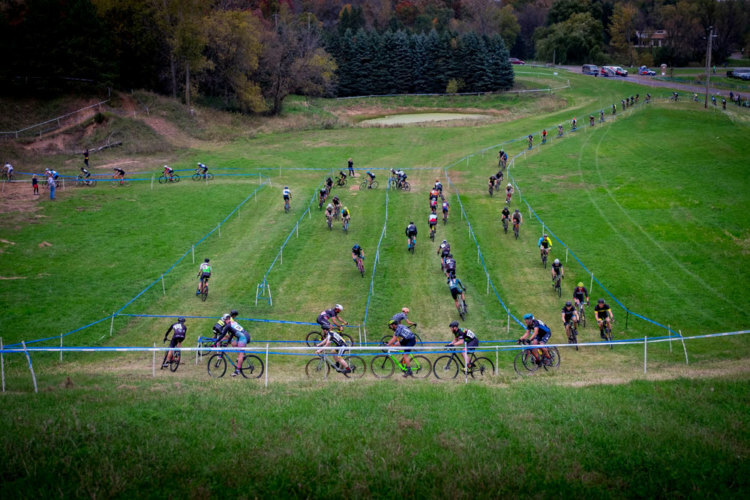 Added this year is the Gran Fundo Half Hundo, extending the reach of Minnesota’s largest cyclocross race to non-crossers. This 50-ish mile gravel event showcases the beautiful countryside of Washington County, Minnesota. While billed as non-competitive, those that want to dig in and get their heart rate up have several built-in Strava segments. Cyclocross purists need not worry, cyclocross is still the focus of the event. The course is taking shape at the ever-changing Green Acres Recreation Area, a combination working farm and recreational venue. The course crew is anxious to take advantage of options this year, starting with dialing in a larger corn maze. Last year’s epic loose-sand run-up is slated to be back and potentially more difficult. Visualize a wall of sand, and you aren’t far off. Gone, however, is the flyover. 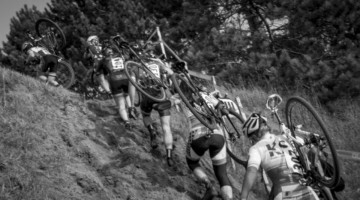 Always looking to keep racers on their toes, the Green Acres CX staff is keeping tight-lipped about what replacement features are going to be. “Each year we show up, and something changes. It’s a tough, demanding location, and we try to make the best of what presents itself each year. No one is getting off easy. Weather is always the big unknown, and this weekend is looking to make things interesting,” said Green Acre’s Chris Fischer. What organizers are talking about is furthering equality between men and women. Green Acres CX has long given out equal prizes. 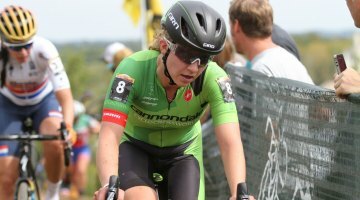 This year, organizers re-worked the local series schedule to allow for a Women-only Elite race. Race time for the women is also lengthened to 50 minutes. “I wouldn’t call it a huge change, but it’s a nod in the direction of racer equality. We’re giving it a try, and we’ll see how it is received,” said Fischer. Green Acres is not just about racing. Those trekking to Minnesota aren’t left wanting. 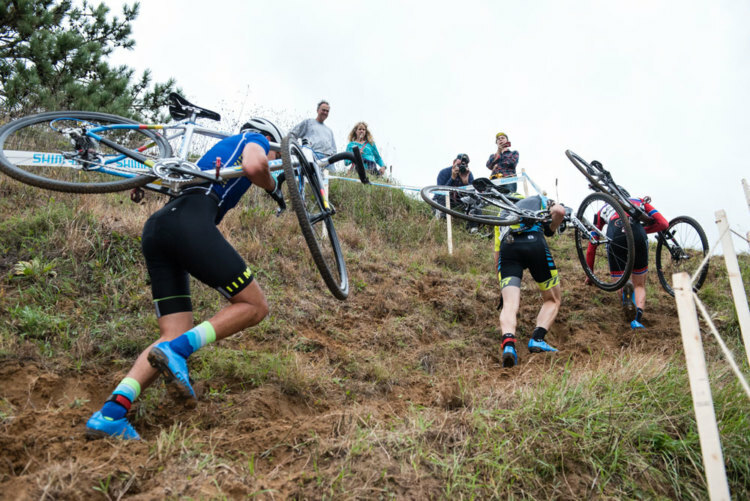 A full weekend of ’cross fun awaits. Racers get tickets for a pig roast on Saturday, food trucks on Sunday and beer all weekend long. A band is scheduled for Saturday, as is a Salsa Bicycles demo and various other vendors are expected to set up shop. Their raffle, long a local favorite, is becoming legendary, with a claimed $15,000 of wheelsets, components and other high-end swag. 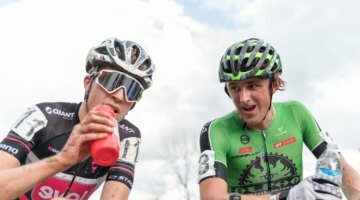 More information (and a history of their first 10 years) can be found at GreenAcresCX.com. 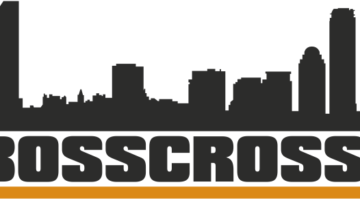 Preregistration is open through Thursday (10/12) at BikeReg.com for the October 14th and 15th races.